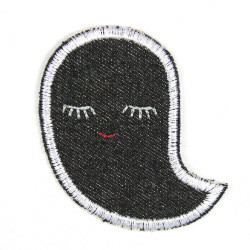 The strap patch Halloween Special 2016! 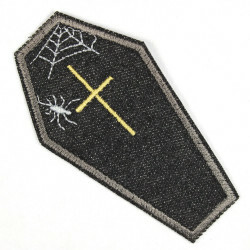 The iron set consists of 2 ghosts patch Jeans black, a black bat patches, a coffin iron-on badges and a black spider web applique. 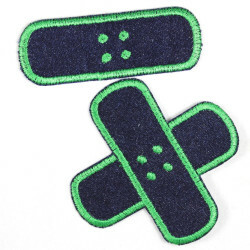 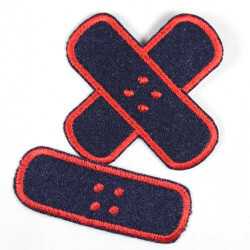 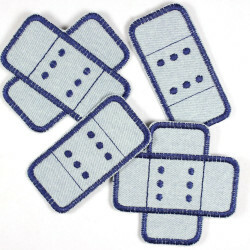 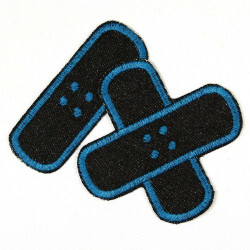 The bracket can be used as a patch knee patches and the patches are to iron on. 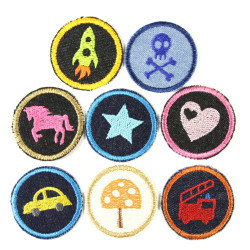 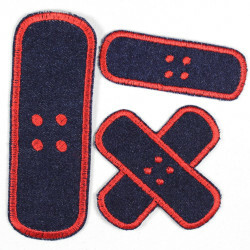 Accessories Halloween special offer appliques. 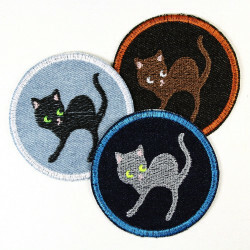 The Halloween Iron Set 2016 Wertstueck Flickli! 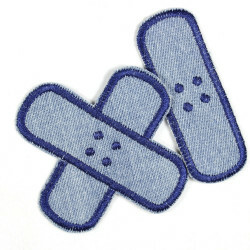 The Suitable Disguise Halloween still need accessories? 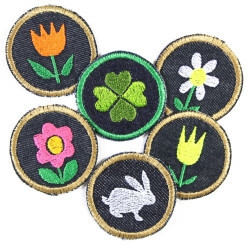 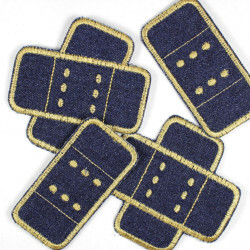 Here you will find a great iron-on patches Set at a special price of Wertstueck Flickli to complete the trim to the feast. 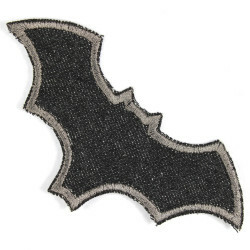 A bat applique is included in the set. 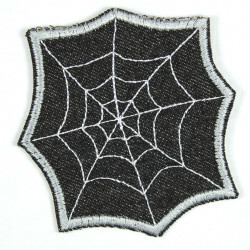 A spider web iron-on applique white embroidered on black. 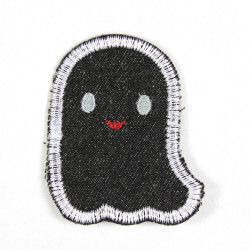 2 small ghosts patches. 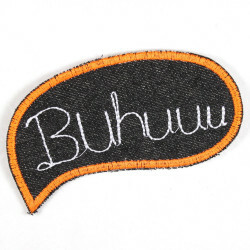 A spell with bright orange patches Buhuu neon trim and finally a skuriles coffin iron-on badges to an eerily beautiful costume round aptly. 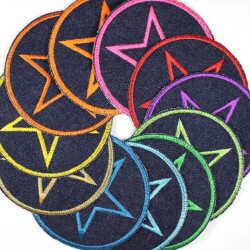 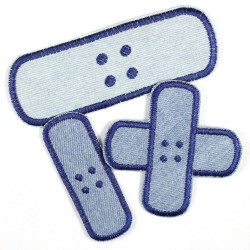 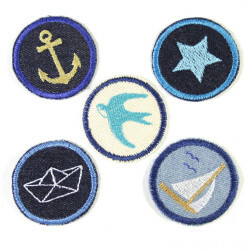 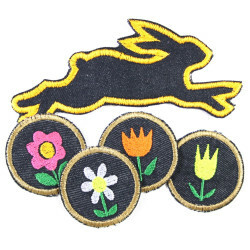 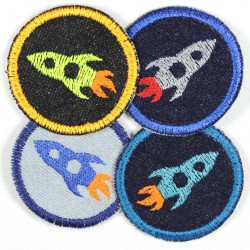 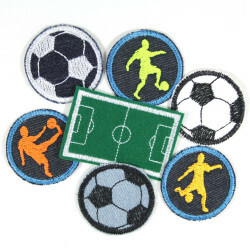 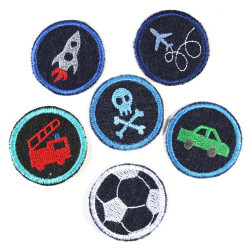 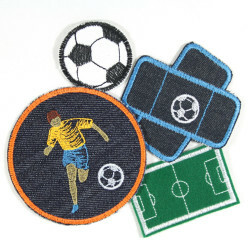 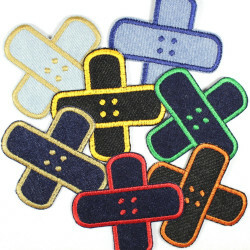 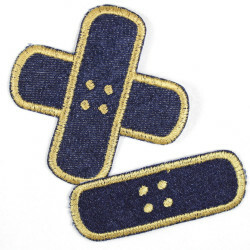 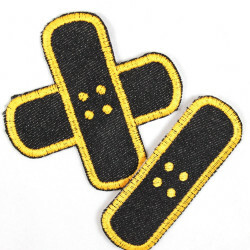 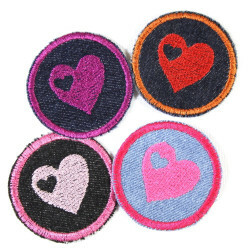 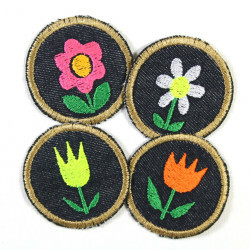 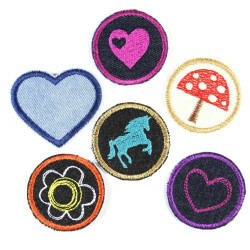 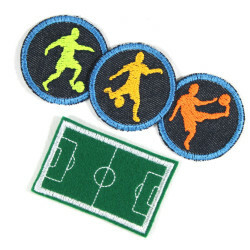 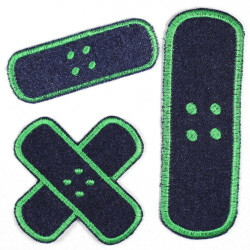 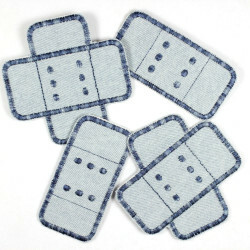 The iron-on patches are made of quality black denim and are all individually to find the range of flickli.de. 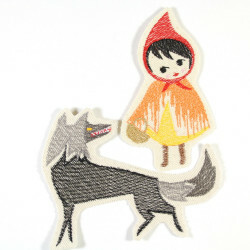 The Halloween appliques for iron are coated with a high-quality iron-on film and so the attachment is easy. 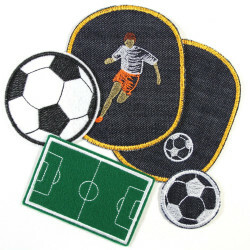 The materials and product sizes can be found in the individual articles. 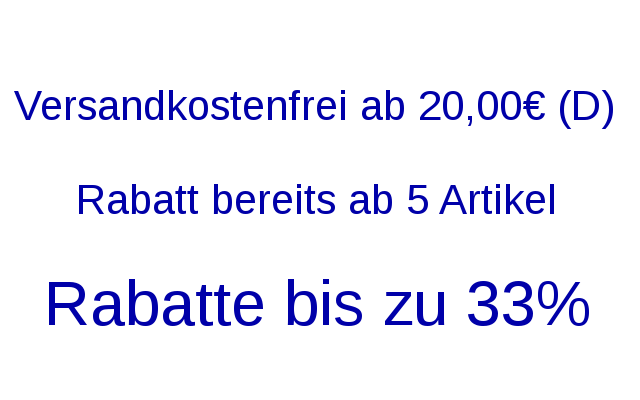 The offer is valid until 31.10.2016.